In the face of increased competition, RedPandas ran LW Reid’s most profitable Back-to-School paid media campaign in history. LW Reid is a brand synonymous with quality and customer service in the B2B school uniform market ever since it opened its doors in 1922. The Made for School brand is LW Reid’s direct-to-market division and this drastically different customer persona compared to LW Reid’s traditional business meant a very different strategy needed to be employed. Having been around for almost 100 years, LW Reid had tried every traditional marketing tactic in the book including expensive above the line media including print, radio and TV. They had also tried and been burnt by a number of well known agencies in the industry. 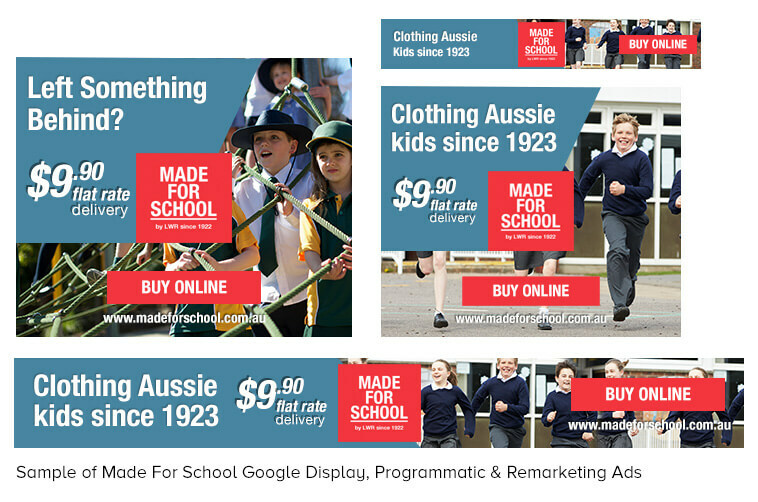 Recent new entrants and increased competition in the market had been steadily contracting growth for the Made for School brand. 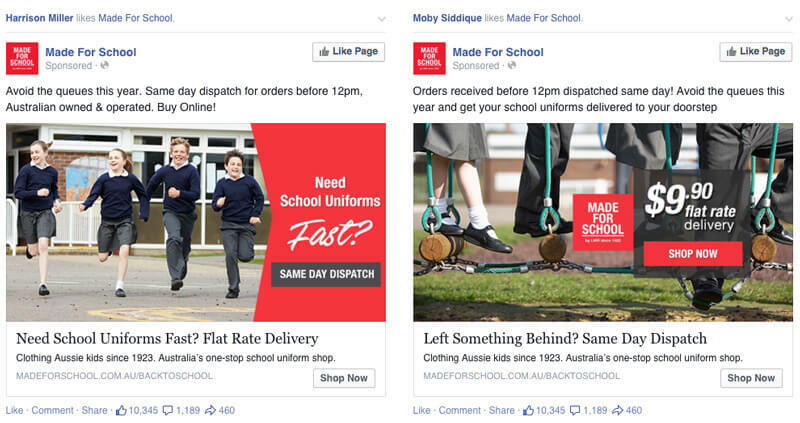 National Sales and Marketing Manager Peter Morkos approach RedPandas Digital with the brief of creating and executing a digital-only back to school campaign using Facebook Ads and Google AdWords. Post a persona deep dive workshop, RedPandas devised a persona profile that included 4 distinct personas each with their own targeting and advertising creatives. The results were phenomenal. By the National Sales & Marketing Manager’s own account, the campaign had been the most successful ‘best back to school campaign sales period in the history of the company’.